There’s a secret beyond the perfect holding of the make-up base. It consists of knowing the exact ritual, a series of gestures to be executed in a precise order. Just like a wellness program for the holistic health of the body, the ritual maintains the balance between bare skin and make-up products. 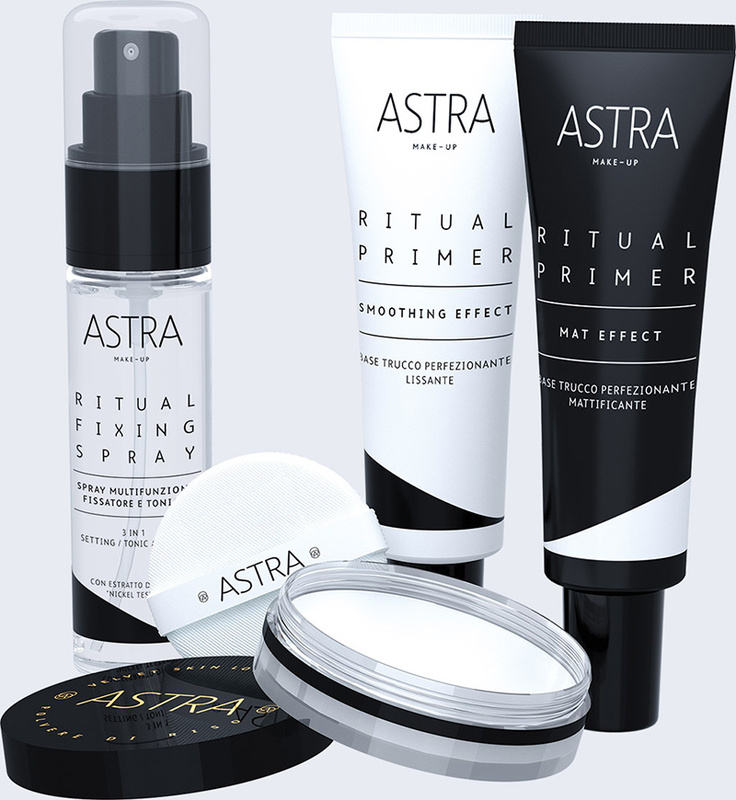 Long Lasting Ritual is Astra’s new collection dedicated to the base, for a long-lasting make-up and a fresh sensation of renewed energy. The collection consists of two different face primers, a smoothing one and a mattifying one, a fixing spray with refreshing and fixative properties and Velvet Skin Loose Powder, the rice powder ideal for baking. A precious and transparent dew with an aloe scent, that, just like a beauty treatment, enhances the complexion with its smoothing effect: it attenuates the look of pores, wrinkles and blemishes. Ritual Primer is formulated with 97% of natural ingredients, it contains distilled flower waters and hyaluronic acid that help the skin’s purification. 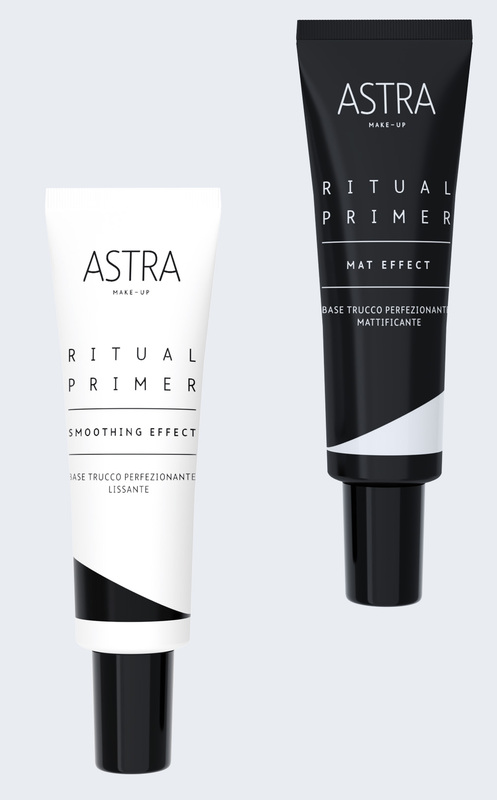 If applied before foundation Ritual Primer will increase its lasting power. It gives the face an immediate lifting-effect. Just like thermal water this aloe-scented gel glides on the skin purifying it; it minimizes the imperfections, giving an allday- long mattifying effect. Its formula is enriched with vegetal glycerin, and contains EVERMAT, which minimizes pores while giving the skin a perfectly mat look. If applied before foundation Ritual Primer will increase its lasting power. It gives the face an immediate silky effect. 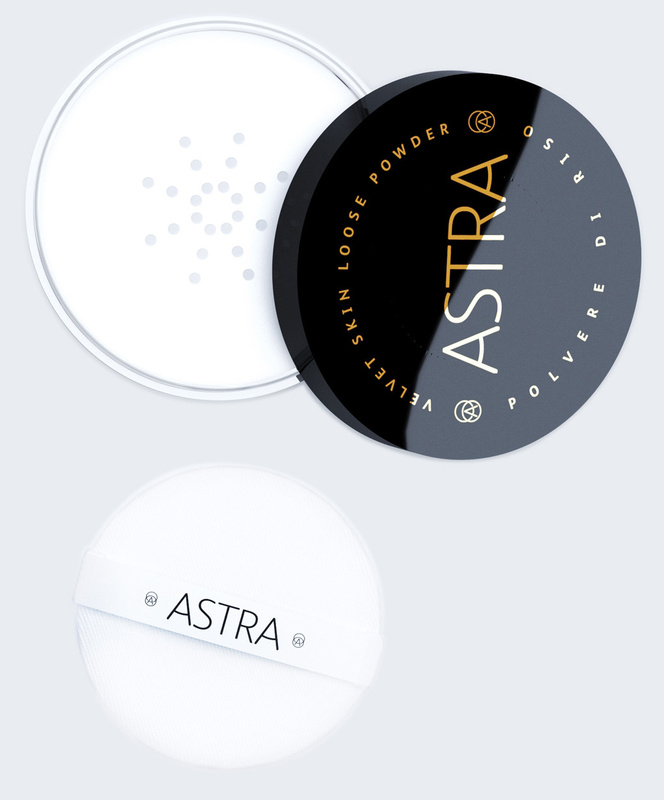 Just like white sand in a zen garden, this light and silky rice powder, with a universal and translucent color, can fix and rebalance the make-up base. It contains a micronized powder obtained by the grain of rice and its formula is enriched with natural minerals, capable of absorbing serum. 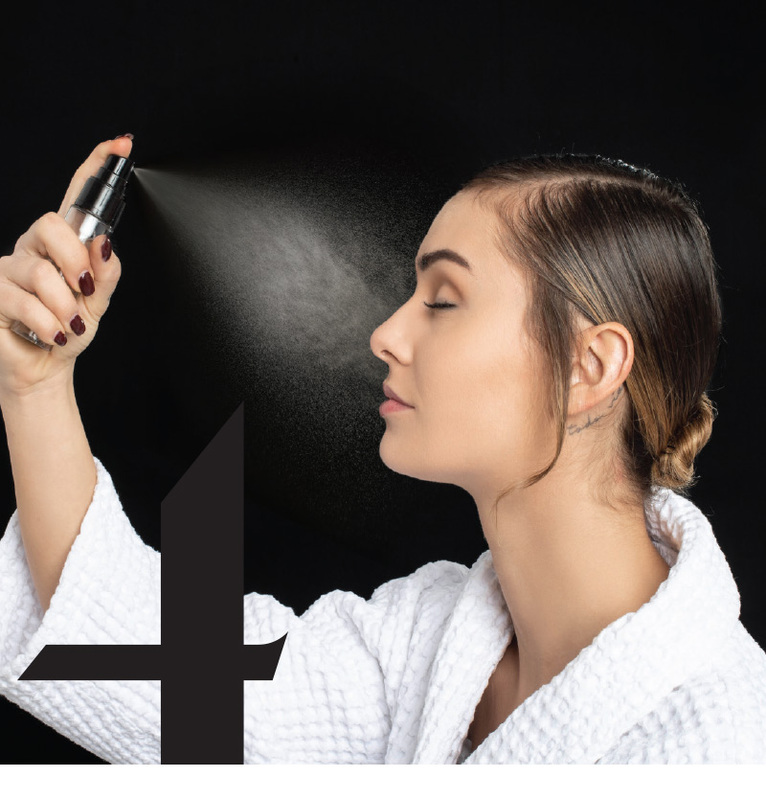 It’s ideal for the baking technique, that consists of leaving the powder on the face for some minutes; the heat of the skin will make foundation and concealer melt into the skin, giving a perfect finish to the base. A weightless cloud that spreads a delicate peach scent, inspired by the hammam’s fumes: this fixing and refreshing spray increases the holding of make-up, giving at the same time a fresh sensation. *Spray onto the face, from at least 20cm away, keeping your eyes and mouth closed, to fix the make-up. It can be used also as a base and refreshing mist before the make-up application. 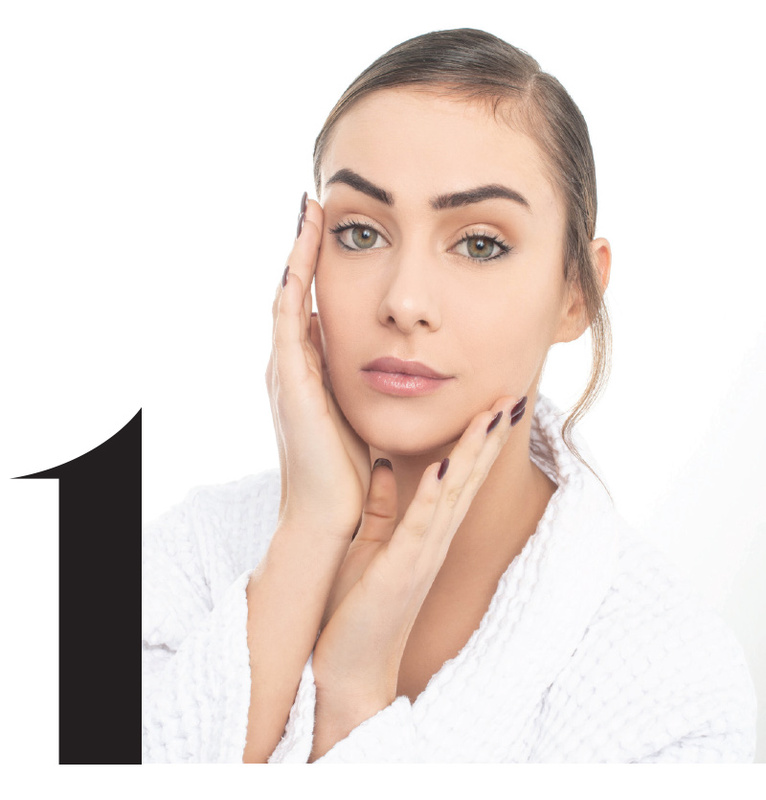 Apply a small amount of primer on the T-zone, massaging it Apply foundation and concealer. with circular motions. Apply the powder on the T-zone and leave for some minutes. Then remove the excess with a clean brush. Spray Ritual Fixing Spray on the skin and let it dry.